As mentioned on my previous breakfast club post I am rather fond of cinnamon. It signifies warmth (read christmas), home (read apple pies) and tastiness (well… obviously). Also as spices come its pretty great for you: not only does it have antioxidant levels similar to blueberries but as a ‘sweet spice’ (like nutmeg and ginger) it boosts satiety and mimics sweetness. This helps when trying to reduce your sugar intake, and means you can cut it back in your buns! 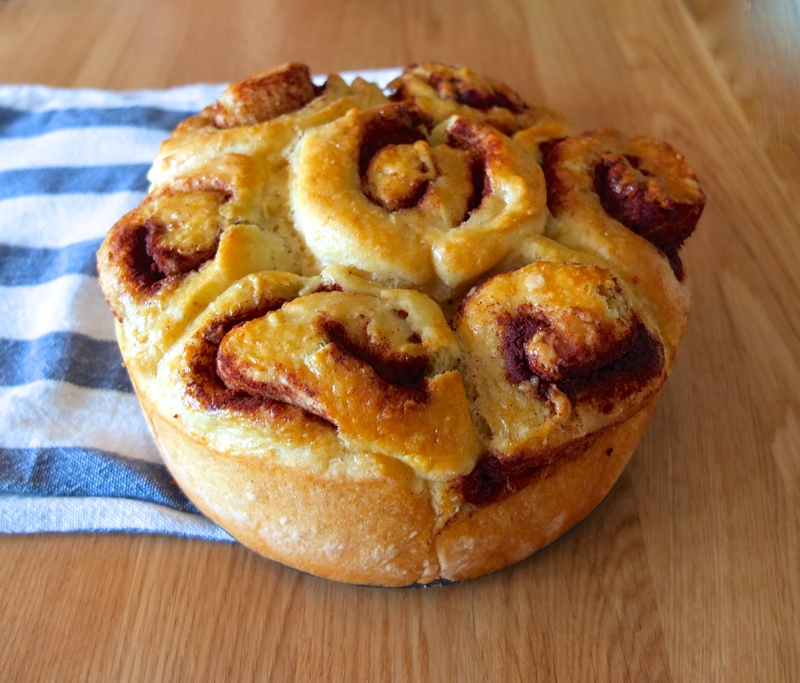 I have been a cinnamon bun fangirl since I set my sights on Cinnabon in the US – or should I say first set my nose on Cinnabon?! The scent of that place! It was like a magnet, a REALLY sugary magnet. 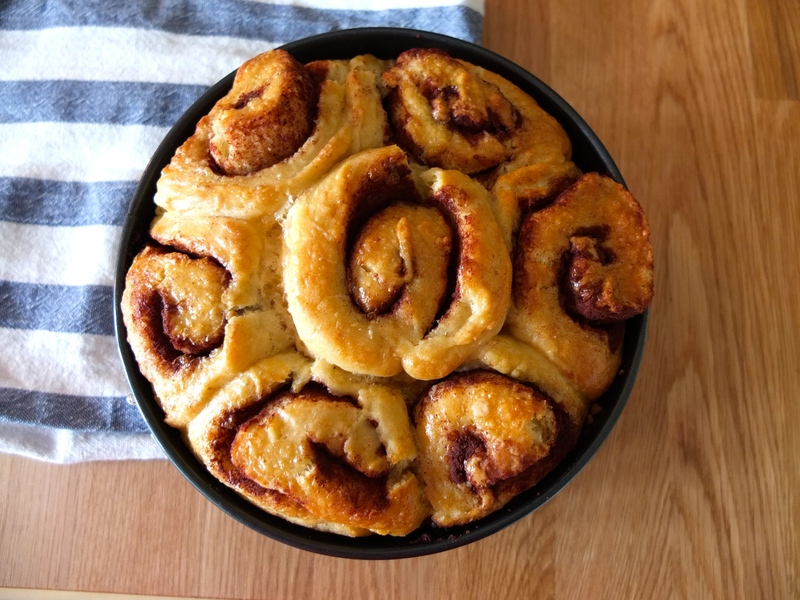 All that super-sweet cream cheese frosting dripping down the mammoth buns, and cinnamon syrup oozing out the swirls. I mean, really?! It was/is a sugarholics dream… particularly when one Cinnabon packs 59 grams of sugar. Oh, and if you love the caramel version call it 79 grams. I know, I get it, its hard to walk past – blame it on that scent being pumped out for miles around. Top class advertising of the senses. *May also contain: Egg white, whole eggs, buttermilk, molasses, sodium stearoyl lactylate, azodicarbonamide, beta carotene, high fructose corn syrup (glucose-fructose), wheat protein isolate (wheat gluten lactic acid, sulfites), vital wheat gluten, hydroxpropyl methylcellulose, acetylated tartaric acid esters of mono and diglycerides (datem), baking soda, xanthan gum, guar gum, beta carotene, glucono delta-lactone, citric acid, propionic acid, enzymes (amylase), ascorbic acid sorbitan monostearate, cellulose gum, potassium sorbate, soy oil, polysorbate 60, lactic acid, artificial color. That could be a blog post in itself. Now I never meant this post to be an interrogation of Cinnabon, I literally got carried away. Lesley Knope style. No really, I googled its sugar content and was so horrified that it turned into a 45 minute impromptu research session. I’m just impulsive and keen! My main point is: make my buns. They are so much better for you and a lot fresher (refer to above ingredients again). 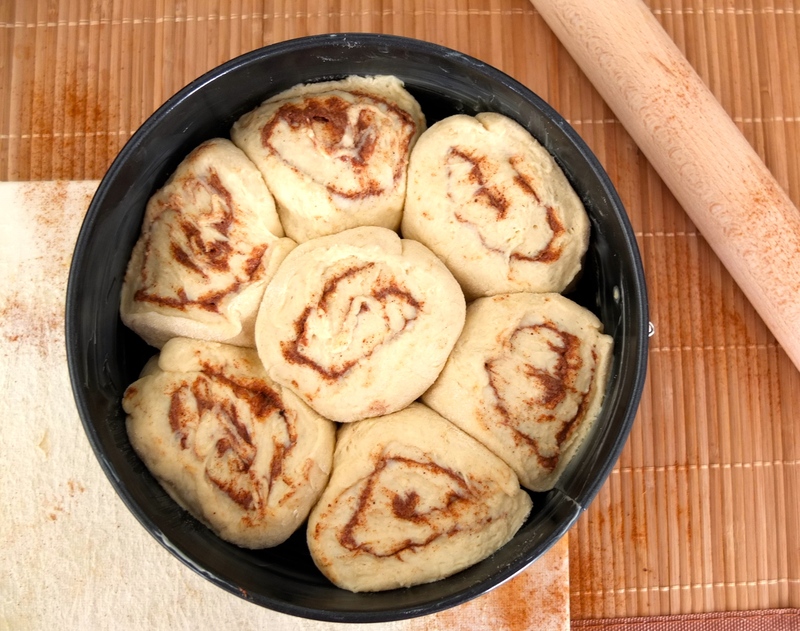 These buns are tasty, warming and great to serve for brunch or afternoon tea. Plus feel free to freeze them and defrost them whenever you feel tempted by the Cinnabon magnet.